Item # 1751 Price: $20.00 Buy! 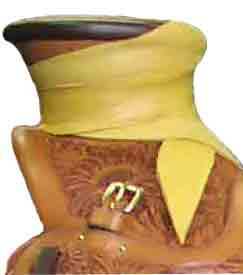 Description: Elk hide horn wrap is our most popular horn wrap. Elk hide is easier on your rope and it has more grab than Mule hide.Elk hide horn wraps are easy to put on without wetting them. © 1974-2019 Tips Western . All rights reserved.